By this winter, Washington likely will have its 14th grape-growing region — and Idaho will have its second. The area is one of the Northwest’s oldest wine regions but has been dormant for nearly a century. ONE OF THE Pacific Northwest’s earliest wine regions is re-emerging from the mists of our viticultural history, gaining new life after going dormant for nearly a century. By this winter, Washington likely will have its 14th grape-growing region — and Idaho will have its second. 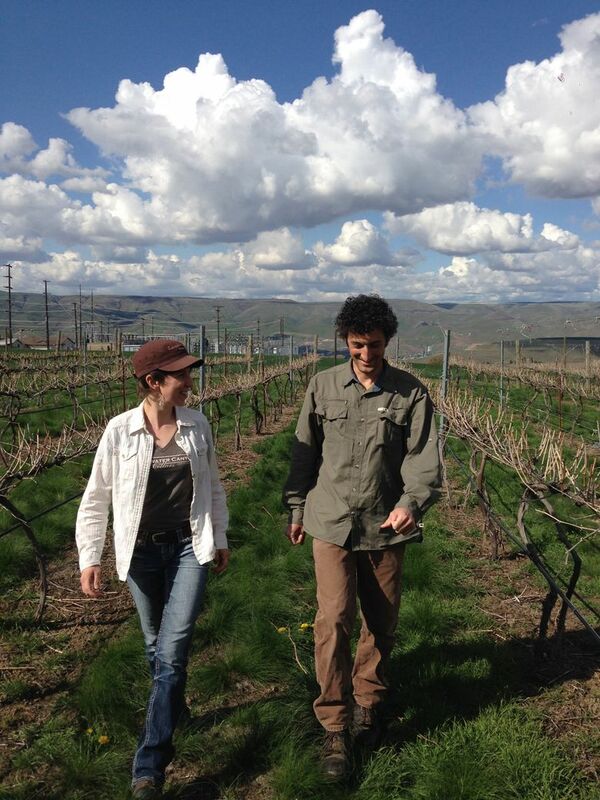 The Lewis-Clark Valley American Viticultural Area is under review by the federal government. The region surrounds the cities of Clarkston, Wash., and Lewiston, Idaho, on the far eastern edge of our state, where the Snake, Clearwater and Grande Ronde rivers flow together. Clearwater Canyon Cellars 2013 syrah, Idaho, $28: Winemaker Coco Umiker has crafted a luscious red with aromas and flavors of rich, dark fruit and spices backed by gorgeous acidity. Available primarily through the winery. Colter’s Creek Winery 2012 merlot, Idaho, $35: Melissa Sanborn’s first merlot using estate grapes in the Lewis-Clark Valley is a beautifully elegant and graceful red with aromas and flavors of marionberry, backed by beautiful tannins. Viticultural history in the Lewis-Clark Valley (named for the intrepid explorers who passed through here in October 1805) dates to 1872, and the region’s wine grape industry thrived until the darkness of Prohibition descended over our nation in 1920. Despite repeal in 1933, the Idaho wine industry didn’t come back until the 1970s, stalled by interest in other agriculture and religious intolerance of alcohol. A small test vineyard was planted in Lewiston in 1972 but expanded interest in the Lewis-Clark Valley didn’t return until the past 15 years. Today, about 100 acres of wine grapes are grown in the valley, with the majority on the Idaho side. And what we are seeing in this region’s second act is exciting. In particular, wines from small producers like Clearwater Canyon Cellars in Lewiston, Basalt Cellars in Clarkston and Colter’s Creek Wineryin Juliaetta, Idaho, are crafting superb reds that are on par with many of the top wines in Washington. So far, the only hiccup in getting the Lewis-Clark Valley AVA approved is tied to the existing Columbia Valley, which takes up 11.3 million acres of land in Washington and Oregon. The Columbia Valley stops at the Idaho border, and the federal government does not want part of the Lewis-Clark Valley to overlap with another grape-growing region. As a result, nearly 60,000 acres of the Columbia Valley would be removed to make way for the Lewis-Clark Valley. For Seattle wine lovers, the Lewis-Clark Valley will be one of the most remote wine regions in Washington, more than a five-hour drive. From Spokane or Walla Walla, getting to Lewiston is about two hours. The Lewis-Clark Valley enjoys a long, warm growing season, and I’ve already seen delicious syrah, merlot and cabernet sauvignon emerge from here. I am excited to see what else will arise in the years to come.